“As a newly graduated New Zealand trained naturopath I founded the college with a passionate belief in the power of distance, experiential, wellness education reaching people from diverse locations and all walks of life long before the internet. Armed with a second-hand IBM typewriter, a fold-up table, and two cardboard boxes for student files, organic botanicals and essential oils for lab kits, I was initially a one woman office,” Petersen recalls. 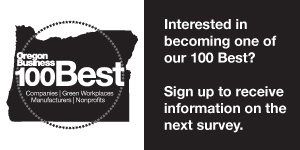 ACHS maintains a 99% student satisfaction rate and has been named to the top 10 of Oregon Business magazine’s 100 Best Green Workplaces three years in a row (ranking number two in 2017). Bootcamp: Current Issues in Aromatherapy: ACHS invites students, graduates, and the public to join presenters ACHS Founding President Dorene Petersen and ACHS’s Aromatherapy Program Chair and Registered Aromatherapist, Amanda Lattin for this four-day, five-night comprehensive aromatherapy workshop designed for professional aromatherapists, aromatherapy students, and aromatherapy enthusiasts!